Product prices and availability are accurate as of 2019-04-23 13:45:54 UTC and are subject to change. Any price and availability information displayed on http://www.amazon.com/ at the time of purchase will apply to the purchase of this product. Hydration Bladder Compatible (Bladder Not Included). Four Heavy Duty D Rings on Suspenders. 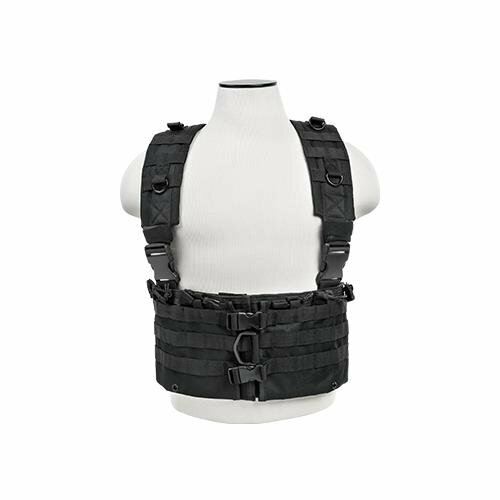 The NcStar AR Chest Rig Includes Six Double AR Magazine pouches with Bungee Retention Straps (Holds up to Twelve Magazines) Hydration Bladder Compatible (Bladder Not Included). PALS webbing on the Front and Back to Adapt your other accessories Four Heavy Duty D Rings on Suspenders Quick Detach Buckles on Suspenders and Front for Quick Equipment Release.